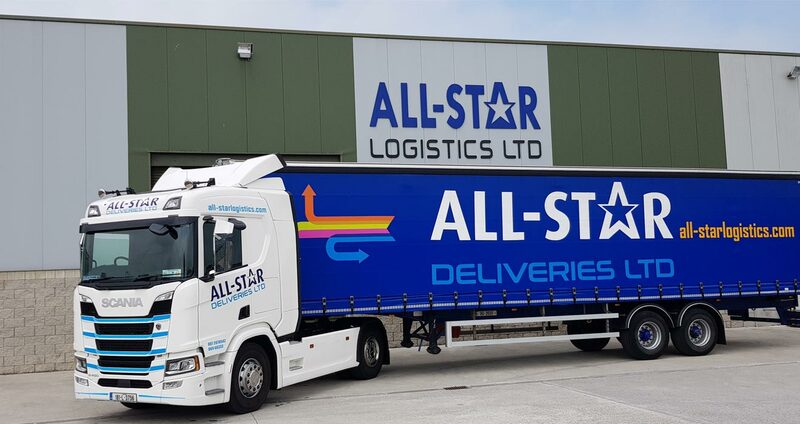 Our transport company All-Star Deliveries Ltd. was founded in 1996 and has since built up a successful fleet of trucks and vans servicing national and multi-national companies all over Ireland. Then in 2004, the Company Director saw an opening in the market and set up All-Star Logistics Ltd. providing logistics and storage solutions with its unique washing machine for reusable packaging including crates, plastic pallets, totes, boxes, lids and trays. All-Star Logistics Ltd. offer our very own in-house crate washing service. We wash and dry a wide-variety of Crates, Plastic Pallets, Totes, Boxes, Lids, and Trays (Returnable Transit Packaging) through our unique high specification stainless steel cleaning machine. With over 50,000 Square Feet of storage in a modern purpose built building, All-Star Logistics Ltd. has a range of cost-saving solutions for you to keep your competitive edge. In 2004 we set up All-Star Logistics Ltd. and invested in a special state of the art crate washing machine which is the only one of its kind in Ireland that can wash, dry and disinfect such a wide variety of products. With this special machine, we set up a facility for the cleaning of Reusable Transit Packaging(RTPs) for the Food, Health, Electronics, Automotive and Manufacturing Industry. This service saves companies thousands of euros each year by re-using existing packaging instead of buying new for each use. We can save companies up to 50% on their packaging costs.